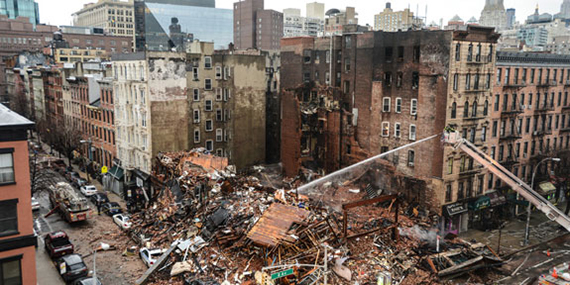 Manhattan management company Andrick Management LLC was “careless and reckless” in its work, so the landlord of the buildings that were destroyed in the deadly 2015 East Village gas explosion claims in Manhattan Supreme Court papers cited by the New York Post. Andrick was hired to install gas meters in the basement of one of the three buildings owned by Maria Hrynenko. Hrynenko — who is facing charges of manslaughter, criminally negligent homicide, assault and reckless endangerment — says that it was actually Andrick that failed to warn people of the hazardous conditions.